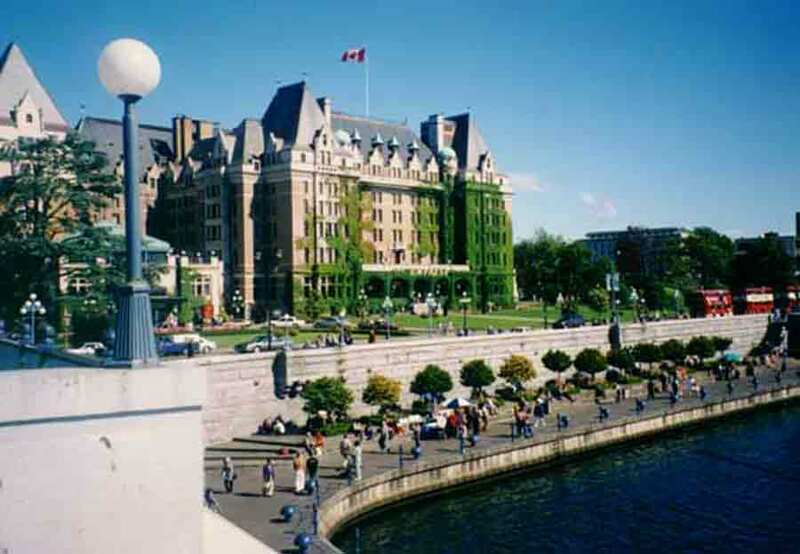 The Fairmont Empress is the majestic cornerstone of our beautiful Inner Harbour which is the centre of activity for the vibrant City of Victoria. This Vancouver Island hotel is located in British Columbia's capital city and features turn of the century architecture, classic beauty and an unrivaled location. Since 1908, it is Vancouver Island's most celebrated resort, spa and meeting destination. Last night we had the opportunity to tour the hotel and get a taste and feel for this classic hotel. The Fairmont Empress is renowned for the special treatment the guests receive and we were no exception. As we arrived we were greet by many of the friendly staff and offered our choice of two special cocktails and some delightful appetizers. We tried the signature cocktail the 1908 and it was delicious. Don Fennerty, the General Manager of the hotel provided the greeting and then our tour began. Our first stop was one of the tastefully decorated guest rooms with a magnificent view of the Inner Harbour which is just across the street. The hotel is over 100 years old but has had extensive and multiple renovations over that time. Part of the Hotel is used for their Fairmont Gold product which is an add-on Concierge Service and special guest area that provides a hosted refuge with breakfast and appetizers. As we moved through the Fairmont Empress Gold lounge it was easy to see why it epitomizes the style and service that ranks among the best Fairmont Gold experiences in Canada. Our last stop in the tour was to the highly acclaimed Willow Stream Spa regarded as one of the best spas in Canada. Here we were treated to hand and arm massages and treated to a sampling of the famous Fairmont Empress afternoon tea. Many of the staff we met has worked at the Fairmont Empress hotel for many years. We had the feeling that we were being escorted by the Empress Family and that they were proud of the hotel and what it had to offer. From previous experience and this tour, we can only describe the Fairmont Empress as top notch! Well done! For more pictures of our beloved "Empress" Click Here.